ONE SIZE fits most for toddler, flexible size. Glove measures 5 inches long,3 inches wide. Thin, soft and warm material. Available in black, olive, navy and grey. Parents remember little hands get cold while making snow angels and snow men. 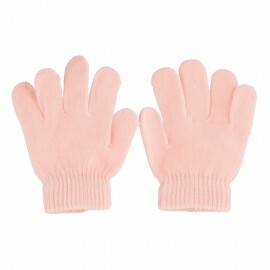 Make sure to keep your toddlers warm and comfy in our Pink Toddler Magic Acrylic Mitten. This durable toddler acrylic mitten is perfect for all your little one's outdoor fun during the cold season ahead. 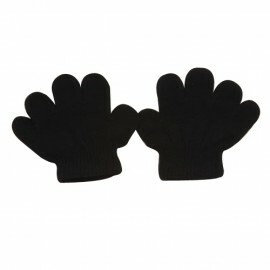 This extra small and cute mitten fits good for most of your baby boys and baby girls. 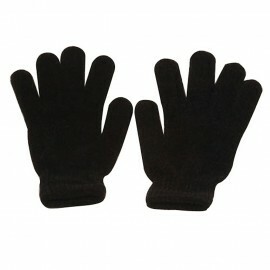 Make sure to check out this adorable winter glove for your babies in our other cute styles as well. This toddler mitten is available in four different colors.